IT governance is crucial for information systems, as it defines guidelines and policies to be applied to manage and control IT in business. IT governance promotes, encourages, discourages or bans different management behaviors regarding IT, aiming to achieve business goals and requirements and to manage IT risks. However, IT is more and more a service activity. Users, process owners and the business itself demand efficient and effective IT services. Therefore, it is necessary to design and implement a comprehensive IT governance and service framework, able to link the two aspects: both to define “decision rights and accountabilities to encourage desirable behaviors in the use of IT” (Weill, MIS Q Executive 3:1–17, 2004) and to deliver the required IT services. 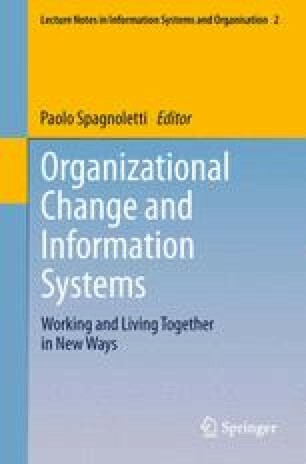 In this chapter, an IT governance and service comprehensive framework is defined, supported by the empirical implementation of this theoretical model in a large industrial company.